Fabulous forever views, beautifully renovated & absolutely move-in ready. 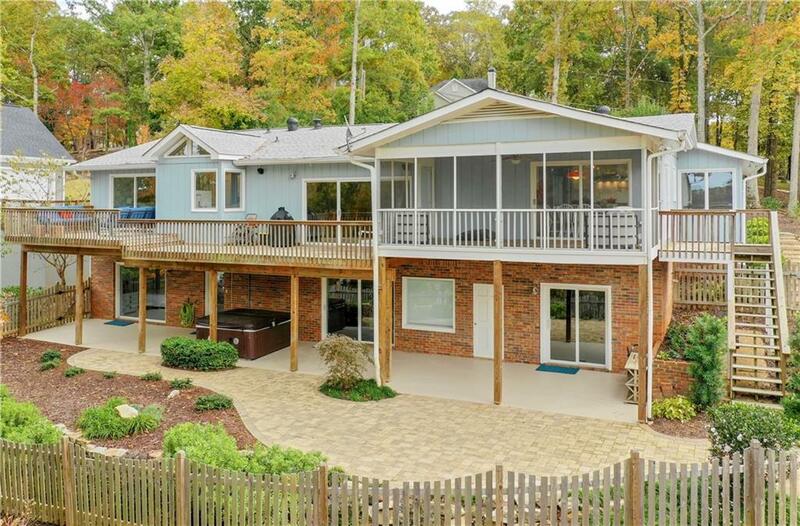 Trendy updated home overlooks Lake Lanier w/ retro class. Best of lakefront living, year-round big water channel views, deep water access, sgl-slip boathouse w/hydrohoist & party deck. Pro landscaping, irrigation, great patio, open living design, super spacious BRs & sweeping terrace lvl make for easy entertaining. You'll love the gourmet chef's kitchen, Big Chill appliances, leathered quartz c-tops & huge work island. Host guests effortlessly w/ 2nd kitchen, gym/bonus room & ample level parking.